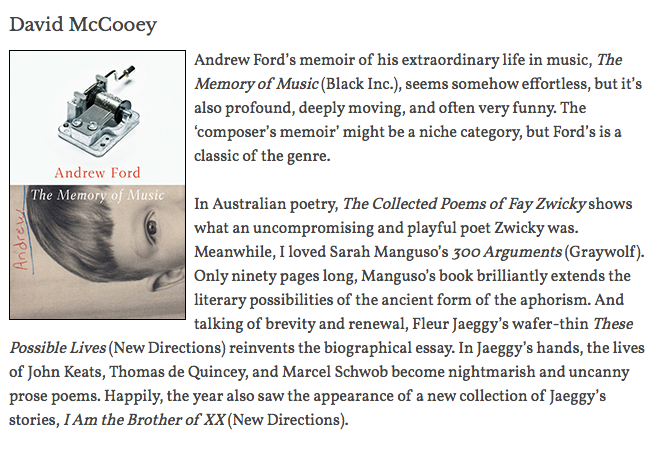 David McCooey has named his 'best books' for 2017 in Australian Book Review's end-of-year feature. You can read David's contribution below. Click on the image to read the whole feature. Other contributors include Sarah Holland-Batt, Felicity Plunkett, and Gregory Day. Click above to go to the ABR website.